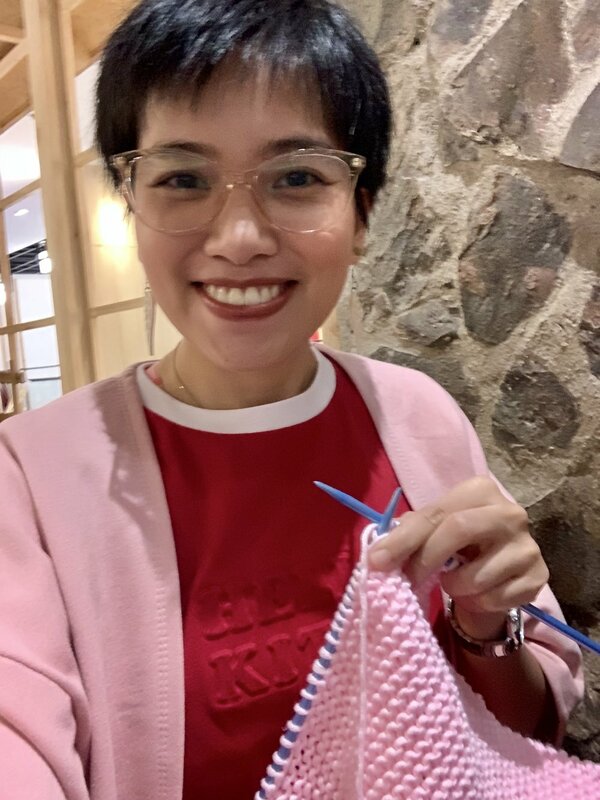 Yesterday, I started Valentine’s Day by knitting while waiting for lunch to be served. My family and I had lunch at Japan Fūdo Street, and we had a lovely time! I had my usual order, the oyakodon. It’s delicious and flavorful. After lunch, I went to St. Clare Monastery to lift up my intentions and give thanks to the Lord for all the blessings that I continue to receive. Then, I continued my Valentine’s Day tradition of visiting Barkin’ Blends Dog Cafe. I was welcomed by friendly doggos who don’t seem to mind my presence, even if I’m there almost weekly! Of course, I had to cuddle my favorite doggo Ella on heart’s day. I was also lucky to receive chocolates from the owners of Barkin’ Blends. Thank you! I had a soy honey refresher from Soy Yummy and I was pleased to meet a deaf employee there. I am happy that more businesses are employing special needs staff. They deserve equal opportunities in the workforce. I had early dinner at Falafel Yo! I was pleasantly surprised with their pita fries. They’re yummy! Before going home, I got to listen to some acoustic love songs at the free gig inside the mall. I even received a free pastillas rose from the mall management. Thank you! I came home to a package from Lazada. My yarn bowl has arrived safely. It’s nicer in person, and it fits all my yarns! I am happy with my Valentine’s Day celebration this year. I got to knit, pray, spend time with doggos, eat out, and gift myself with more crafting. Life is good, and I am so blessed.